Last weekend I went down to Santa Barbara to see my sister graduate from college! It was wonderful and I am so proud of her! It’s hard to believe that a year ago that was me… any other recent grads feeling that way? I’ve been a migraine sufferer since I was 15 and although I have medication for them, migraines are one of those nasty things that just have to run their course. This week, I was plagued by an especially debilitating one and spent Monday-Wednesday feeling just miserable. But I’m happy to report that I’m much better now. Here’s something you should know about me- when you look into my closet it is kind of like looking into a sea of black. I guess in my mind I’m a New Yorker at heart because I tend to think that black clothing is always chic and therefore buy a LOT of it. (Don’t even get me started on how many LBDs I have…) But some overwhelming feeling came over me when I saw this skirt yesterday and I decided that I want it! This is quite uncharacteristic for me, considering I do not a) wear midi skirts b) wear a-line skirts or c) wear neon skirts. But for some reason, I think it just works and I’m debating taking the plunge and just going for it! 2. Discovering New (Old) Music! I think I’m an ipod amnesic. You see, when I first download music I become borderline obsessed with it and listen to it on repeat. But the second that I download new music I forget completely about what I was listening to before. But today I was randomly looking through my ipod and realized how much good stuff is on there. I discovered old favorites like Madonna/J.T.’s “4 Minutes”, Estelle’s “American Boy” and the Black Eyed Peas “Meet me Halfway.” All these previously loved songs, just sitting there, out of rotation. I decided to bring them back and have a little jam fest. Oh and when you see me mouthing the words to Spice Girls don’t be alarmed… just send me back to 1997 when I was making up an awesome dance to Wannabe. 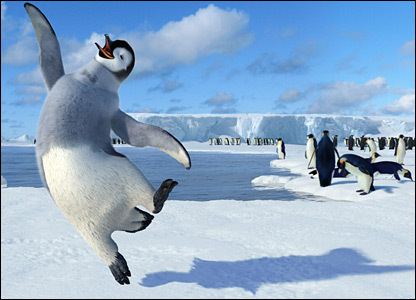 This penguin (from Happy Feet) feels good too! This has to be on my list of faves this Friday because I am just so, so thankful to be feeling better! After experiencing one of my worst migraines ever this week, I was once again reminded how important our health is, and how nothing else really matters when you don’t feel well. Instead of constantly sweating the small stuff, we really should feel so happy just to be feeling good! Bet your bottom dollar that tomorrow, they'll be SUN! 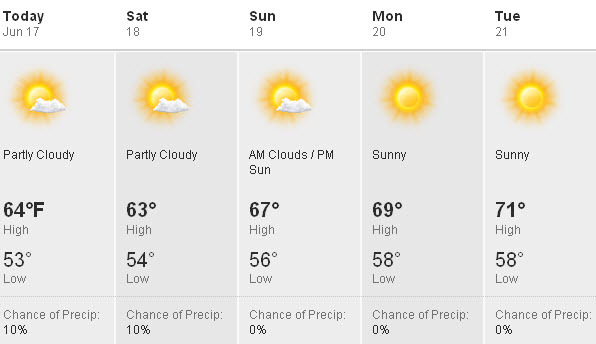 After weeks of yucky weather in the Bay area, we are finally getting blessed with some sunny days! Though SF is never that warm this time of year (we don’t get summer weather until September) I’m enjoying this warmer spell that we’ve had! It’s been so nice to leave my coat at home and know that my sundresses will get to see the light of day this weekend! You know about my love of magazines but I also go through books quickly as well! I have a Kindle and absolutely love it but I lent it to my mom to try out/read the book I couldn’t stop talking about. Needless to say I’ve been missing it, but in the meantime a co-worker has lent me a new book to read! 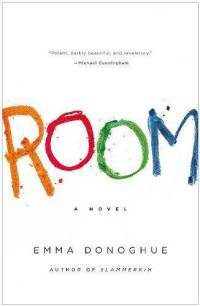 Have any of you read the book Room by Emma Donoghue? It has gotten really good reviews and everyone I know has loved it so I’m excited to get reading! -Are you ever attracted to clothes that are different than your normal style? -Have you read Room? Or any other good books lately? Welcome back, love! So glad you’re feeling better! And yes, the SF weather this week was FAB! I actually just moved south, but I’m so glad we left on a gorgeous note 🙂 Happy weekend!